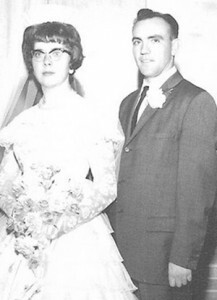 Sherman and Carol Rawlings were married July 26, 1963 in the Idaho Falls Temple. 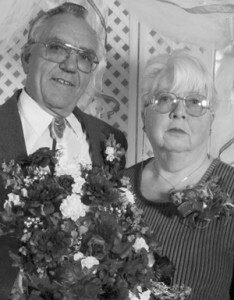 They have lived many different places throughout their married life but have resided in Tooele for 14 years. A celebration with Carol’s extended family and their children took place in North Fork Canyon the second week of July. Sherman and Carol traveled to Idaho Falls to celebrate by attending the temple. They then traveled to Jackson Hole to celebrate the 100th birthday of Carol’s grandfather’s famous T.A. Moulton Barn, with the Teton range as the backdrop. They are parents of four children, Melanie (Scott) Allred of Tooele; Scott (Melanie) Rawlings of Roy; Travis (Patricia) Rawlings of Tooele; and Christopher (Brindi) Rawlings of Houston, Texas. They have 15 grandchildren and two great grandchildren.